Get ahead of the holiday madnes! 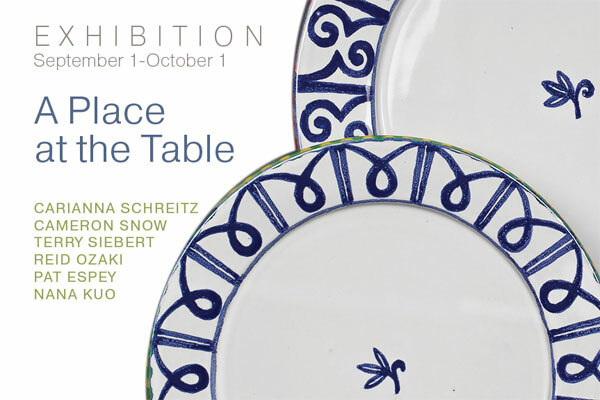 Artful tables will inspire visions of festive gastronomic celebrations in this group show featuring complete place settings in ceramic, porcelain and other mediums. Table settings for every occasion from tea for two to Thanksgiving for eight. Featuring work by Pat Espey, Nana Kuo, Reid Ozaki, Carianna Schreitz, Terry Siebert, and Cameron Snow. New clays and color schemes. New porcelain designs.